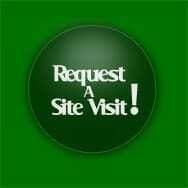 We will match or beat any competitor’s prices. Call for volume discounts. Arbor Hills Tree Farm, LLC is a family owned and operated business in Omaha & the surrounding areas. Our tree nursery is located in a valley of rolling hills near David City, Nebraska. The tree nursery today consists of a large variety of high quality fast growing trees – shade, ornamental and evergreen, as well as various shrubs and landscaping plants. 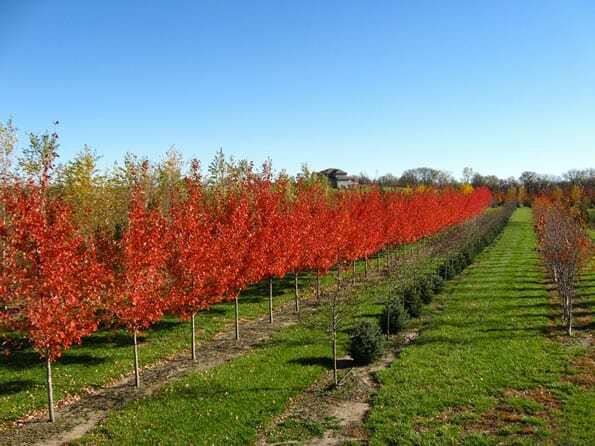 We provide the Highest Quality Field Grown Nebraska Trees and Shrubs – directly to our customers, at the lowest possible price. Whether you are looking for trees for new home landscaping, wind blockage, commercial or residential, Arbor Hills will work with you to provide the most beautiful Nebraska grown trees available. We grow most of our tree inventory and transport in bulk in early spring – to a holding site in West Omaha for distribution. 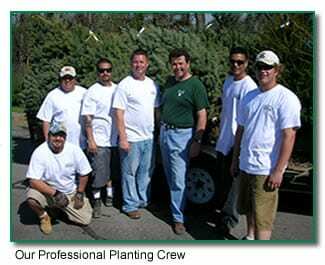 Most trees can be delivered and planted within 5 to 7 days if you reside in the Omaha metro area. We also source other high quality trees and shrubs from other growers to supply the Eastern Nebraska and Western Iowa market. The B & B trees we deliver have been established seven to ten years with caliper sizes of 2″ to 5.0″ reaching heights from 12′ to 20′ We also spade plant JUMBO size trees using 50″ or 90″ spade mounted trucks. You can order your from Arbor Hills Tree Farm via the website or by phone. If you want to hand pick your trees, please feel free to call and set up a time to meet at our holding site in West Omaha. If you are not satisfied with the trees we have selected for you, you are not obligated to accept them – provided that you inform Arbor Hills prior to planting. If there is a particular variety or size of tree you are seeking, and you don’t see those trees listed on our website at arborhilltrees.com, please call at 402.895.3635 or e-mail us at ArborHills@cox.net with your request – and we may be able to locate the type of trees you are looking for. Retail trees we plant carry a full 1 year replacement warranty! Arbor Hills Tree Farm, LLC is a family owned business. Our nursery is located near David City, Nebraska. The nursery today consists of a large variety of high quality fast growing trees – shade, ornamental and evergreen. We provide Quality Field Grown Nebraska Trees – directly to our customers, at the lowest possible price. New home landscaping, screening, commercial or residential, Arbor Hills will work with you to provide the most beautiful Nebraska grown trees available. We grow most of our tree inventory and transport in early spring – to a holding site in West Omaha for distribution. Most Trees can be delivered and planted within 5 to 7 days if you reside in the Omaha metro area. We also source other high-quality trees from other growers to supply the Eastern Nebraska and Western Iowa market. The B & B trees we deliver have been established seven to ten years with caliper sizes of 2″ to 5″ reaching heights from 12′ to 20′ We also spade plant JUMBO size trees using 50″ or 90″ spade mounted trucks.